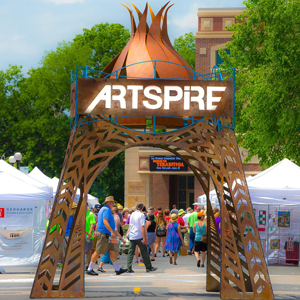 GENERAL INFORMATION: Artspire La Crosse is a community arts celebration held in the Arts District and Downtown La Crosse, Wisconsin. Artspire La Crosse combines visual, performing, and literary arts in a primarily outdoor setting and is designed to represent and engage all elements and cultures in the La Crosse area. Artspire La Crosse is a production of Pump House Regional Arts Center. VENDOR RESPONSIBILITIES: Each food vendor is responsible for collecting and reporting Wisconsin Sales Tax on all necessary sales made during Artspire. Vendors must remain opened both Friday, June 7, 5:00 pm – 10:00 pm and Saturday, June 8, 10:00 am – 10:00 pm. 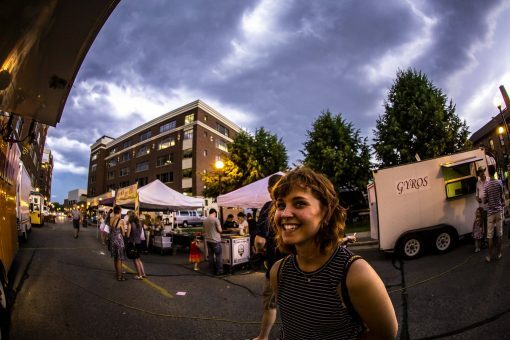 Vendors may not leave early, nor stay late. Vendors are responsible for supplying and setting up their food booth/cart and will be assigned a set up time and location. Set up times will be on Friday between 12:00pm and 3:00pm. Vendors may remain set up overnight. 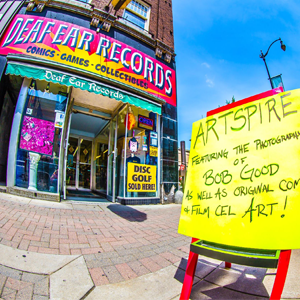 Overnight security will be provided by Artspire. Off-grounds vendor parking will be available for vehicles. Vehicles will not be allowed to remain on the Artspire grounds during the event. Vendors are responsible for providing their own food cart or tent. Vendors must provide their own tables, chairs, display materials, and other supplies they need to conduct business. Vendors are also responsible for the removal of all refuse from their area to the designated collection areas. Artspire will provide picnic tables in various locations for customers. Exclusivity of products is not guaranteed. ELECTRICITY: We have a limited amount of spots with electricity. Please let us know your needs. CANCELLATION POLICY: Artspire La Crosse will take place rain or shine, therefore, vendors should be prepared for inclement weather. Vendor Booth Fees are non-refundable.